I've been on the hunt for ways to whiten my teeth without stripping them senseless and making them super sensitive. 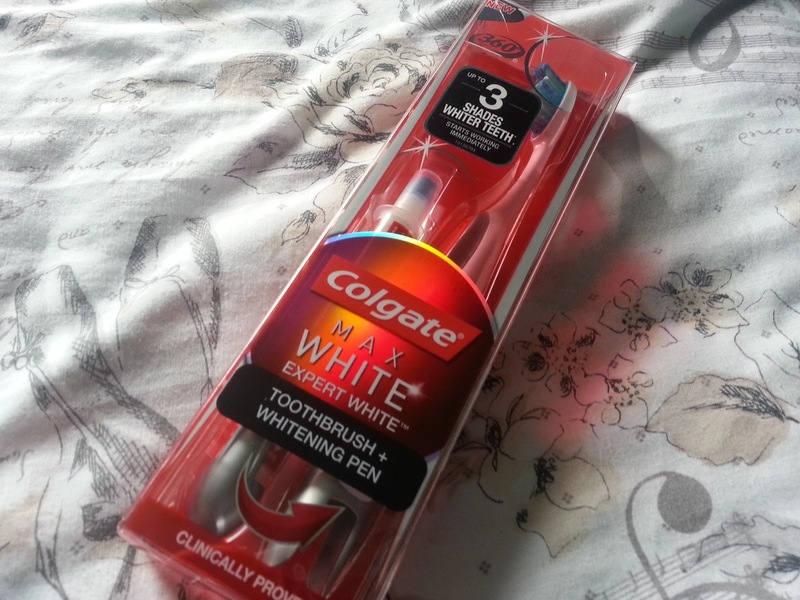 Introducing the best toothbrush I ever had...Colgate MAX White Expert White. Yes this toothbrush retails a little higher then your regular brush but that because its no basic brush.! Yes this has a built in whitening pen and it works sooo well.! My teeth were yellow for so long (like legit this colour) but now I can see white in the mirror at last! This pen is so easy to use, its fool proof. All you do is brush your teeth and then apply the paste with the pen and off you go with the rest of your day, no need to wash it away or anything. I do this twice a day once in the morning and once at night as instructed. And the best thing about it is I have no sensitivity what so ever (she says as she eats Ben & Jerry's - caramel chew chew if your wondering). 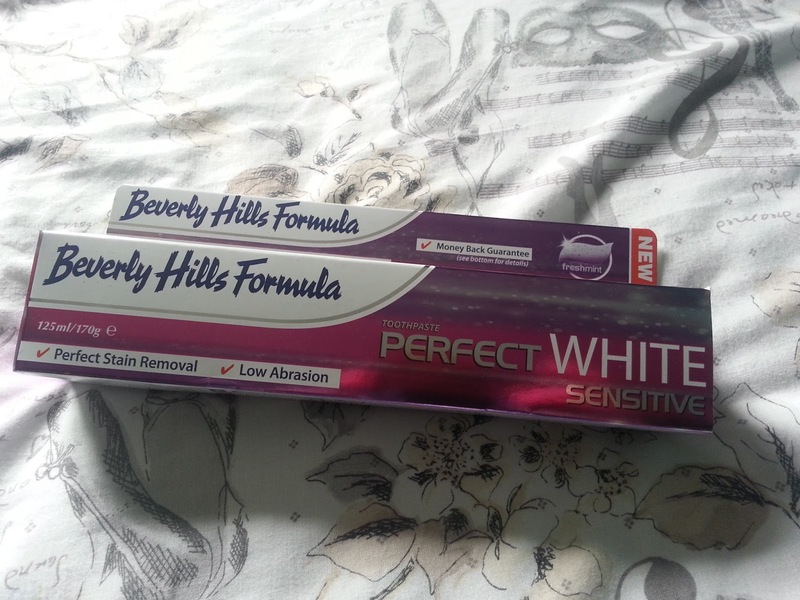 With a good brush you need a good toothpaste - Beverly Hills Formula Perfect White Sensitive. 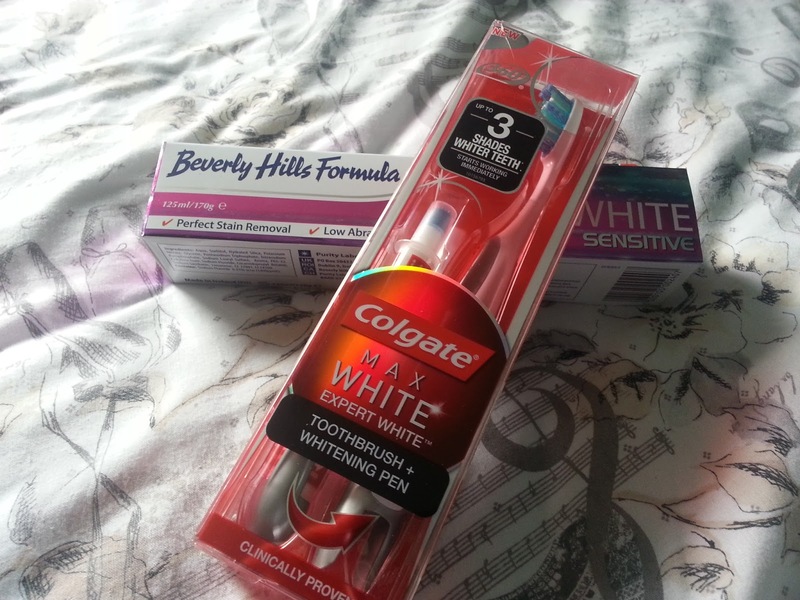 So I seen this in Tesco and was curious to try it out...cant say that it whitens my teeth all on its own as I pair it with the brush, BUT as a whitening toothpaste it doesn't make your teeth super sensitive to hot/cold things. 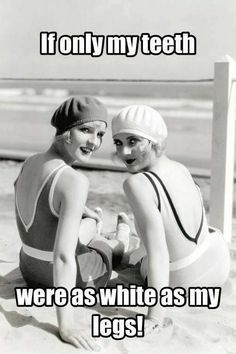 I also noted that they have a wide range of products even a charcoal based toothpaste that helps combat bad breath (not that I need that..just saying). I will definitely keep my eye out for the Colgate pen, sounds fab!